Are ticks active in cold weather? Yes; ticks survive cold weather. They hide under leaf litter and other brush for protection and reemerge as soon as conditions improve. That means if the snow melts and temperatures increase even only slightly, ticks will be on the hunt again for a host. 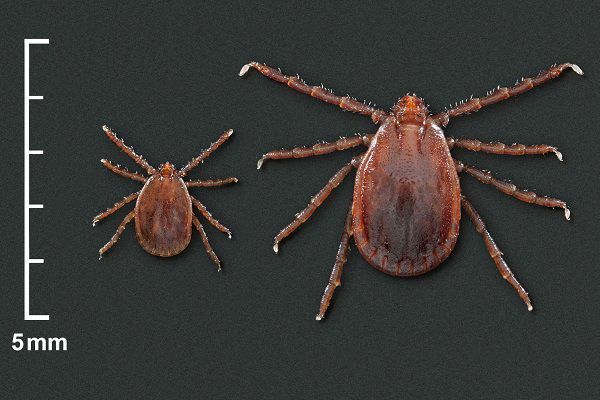 During the late fall and early spring months when the temperature is colder, we are dealing with adult deer ticks who search for larger hosts such as humans, deer, dogs, and cats. In the fall, the female deer ticks use this last blood meal in order to lay an egg mass containing thousands of eggs in the early spring. Property sprays that safely eliminate ticks are important to control the future population and are helpful in Lyme disease prevention.